A series of conferences as part of the Ethics & Treaty Project. 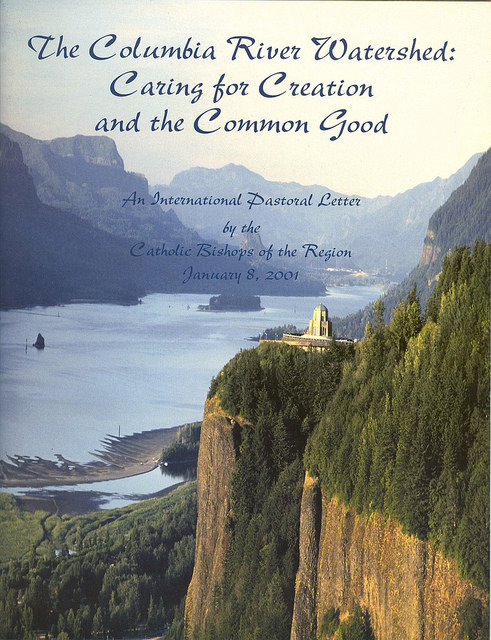 Combining the Pastoral Letter with tools used by hospital ethics committees provides the framework we use for promoting stewardship and justice principles in modernizing the Columbia River Treaty. South Africa had its “Truth & Reconciliation” process in response to apartheid. No such public dialogue has yet occurred in the United States and Canada on the wrenching impacts of the dam-building era on the Columbia River, tribes, and First Nations. “One River, Ethics Matter.” are the four words that describe a series of community conferences based on the Columbia River Pastoral Letter to encourage regional and international dialogue about the future of the Columbia River. Kettle Falls, Ceremony of Tears. 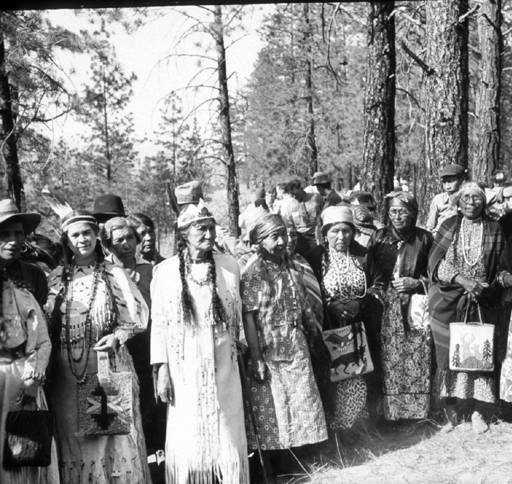 Colville Tribal women in ceremonial dress, gathered for the Ceremony of Tears. These conferences encourage justice and stewardship as summarized in the Declaration on Ethics and Modernizing the Columbia River Treaty. The declaration issued from the first conference hosted by Gonzaga University in Spokane, and is supported by religious, Tribal, and First Nation leaders. The Portland conference will occur one month after Pope Francis addresses the U.S. Congress. In a time of climate change with shifting rainfall patterns and changes in regional water resources, these community conferences in both Canada and the United States intend to build support for a new model for resolving international water conflicts based on ethical principles of stewardship and justice. After several years of a collaborative Sovereign Participation Process that involved several federal agencies, the region’s sovereign states, federally recognized tribes and hundreds of stakeholders, the U.S. 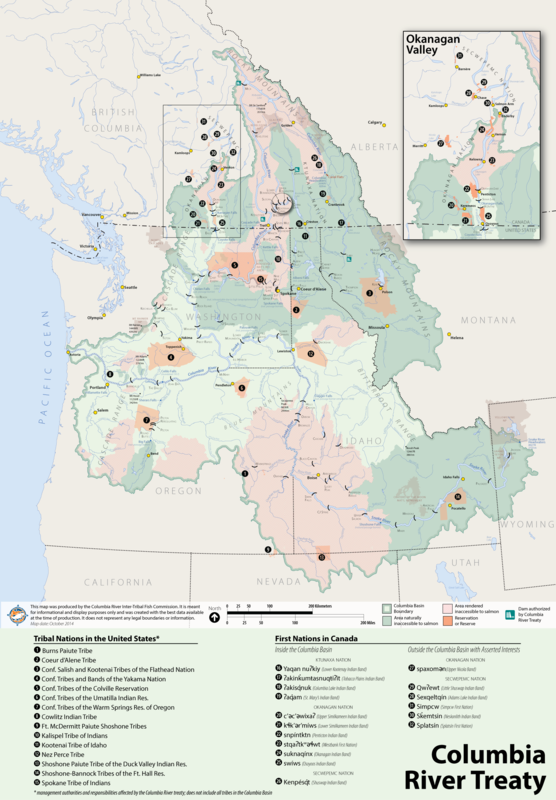 Entity responsible for implementing the Treaty submitted the Regional Recommendation on the Future of the Columbia River Treaty after 2024 to the U.S. Department of State on December 13, 2013. After a similar process that involved discussions with First Nations and local governments, supported by learning sessions hosted by the Columbia Basin Trust the Province of British Columbia reached a decision on their preferred future of the Columbia River Treaty. The Regional Recommendation is now being reviewed by the U.S. Department of State. We are using this series of Treaty & Ethics conferences to bring additional voices into the on-going conversation and to encourage the U.S.Department of State, the Province of British Columbia, and Canada to make their decisions about the future of the Treaty in the context of their ethical obligations to the tribes, First Nations and citizens of the Columbia Basin.